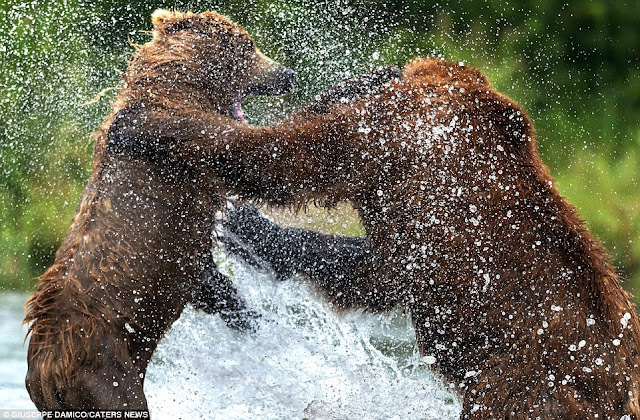 The battle took place in Kurile Lake Park, Kamchatka, an area known for being a salmon breeding site. 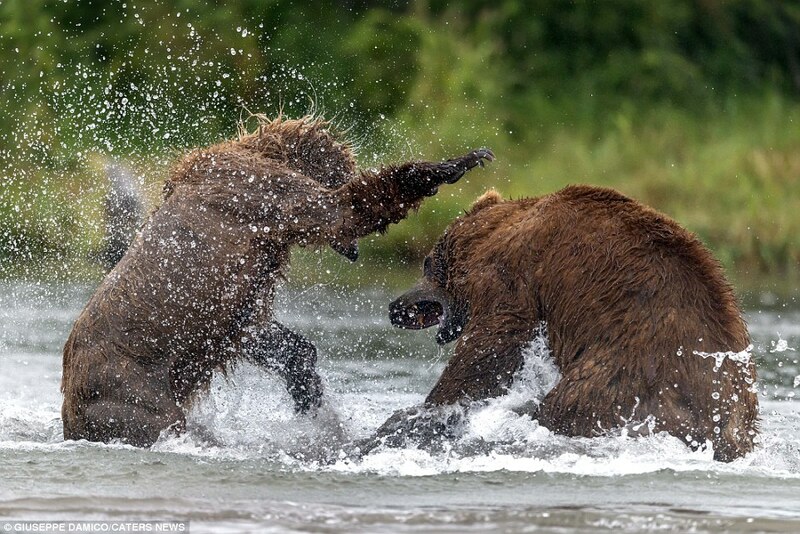 Photographer Giuseppe D'Amico snapped the pair and said that they fought for three to four minutes. Stunning photographs captured two huge bears laying into each other at a Russian lake known for being a salmon breeding site. 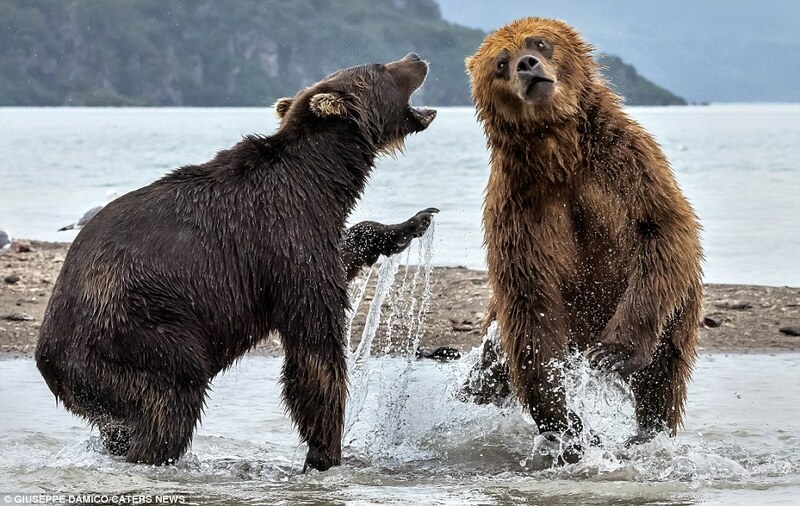 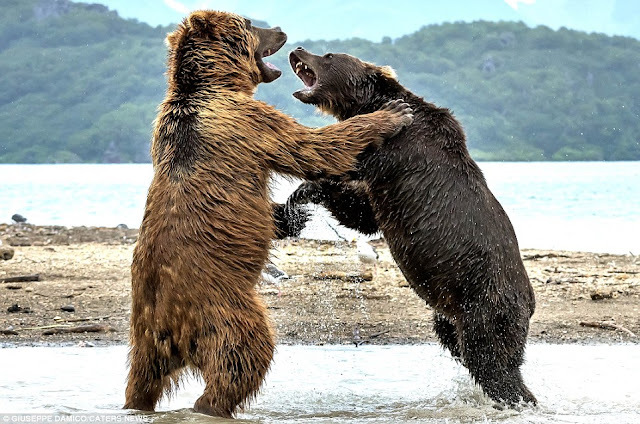 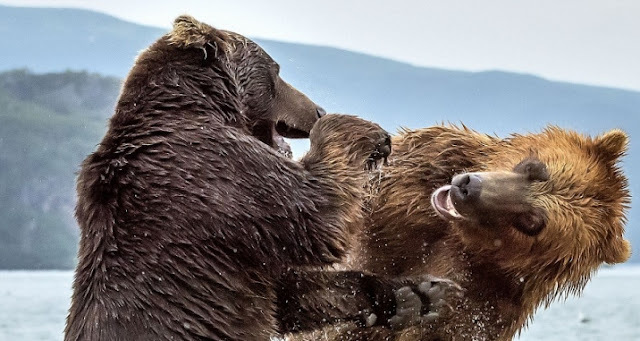 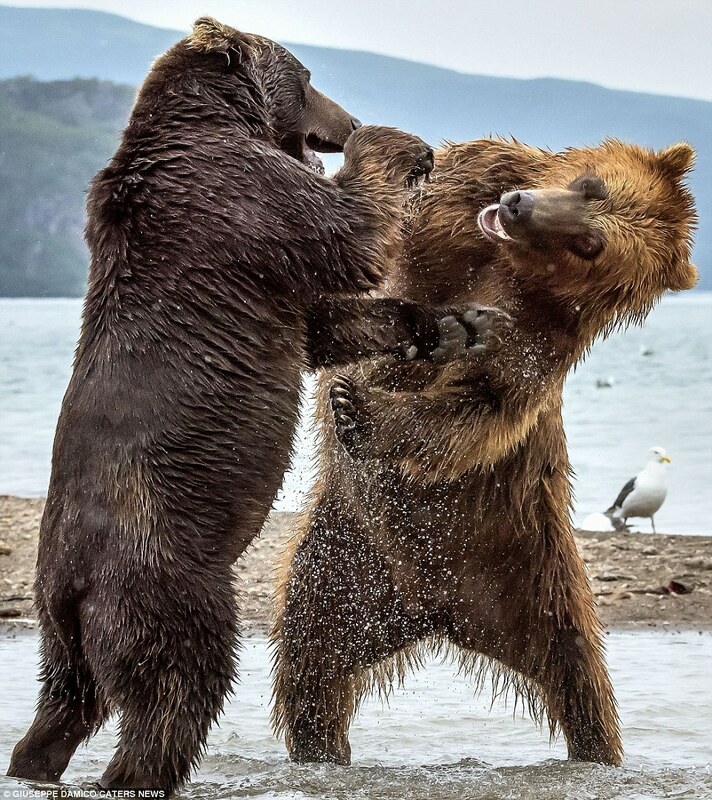 This incredible clash of the titans in Kurile Lake Park, Kamchatka, was watched by 57-year-old Giuseppe D'Amico - whose box office seats were worth travelling for. Giuseppe said: 'I went to this remote and very isolated region to photograph the bears, there are a lot of animals in those places because they are rich in salmon. 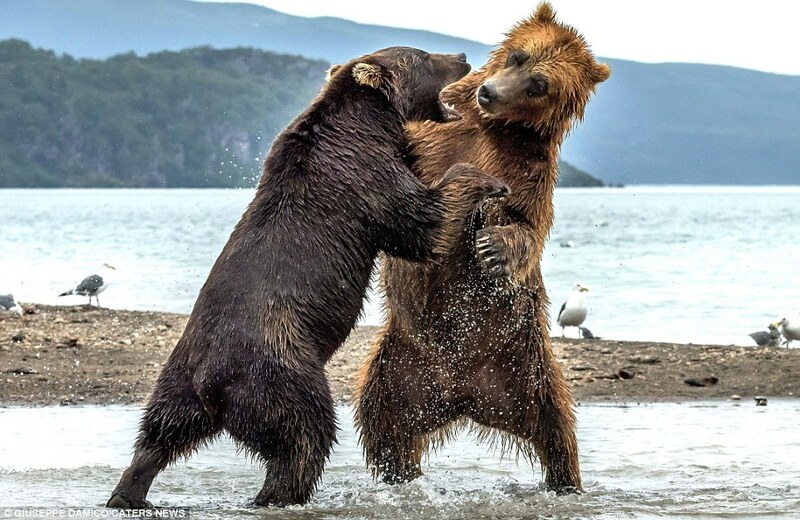 'The two bears were at the mouth of a river that flows into the Kurile Lake fishing when suddenly began to struggle. 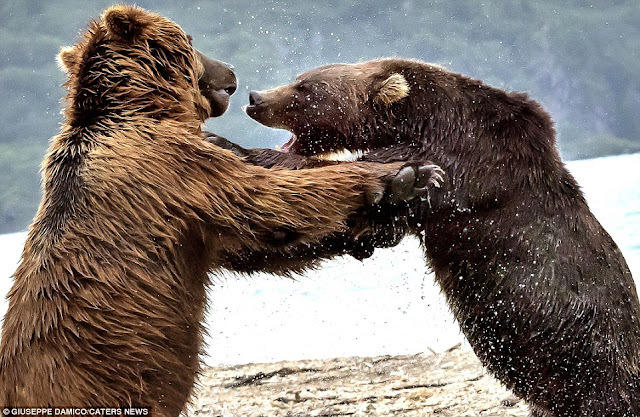 Responses to "Powerful Pictures Capture a Lakeside Clash of the Titans "